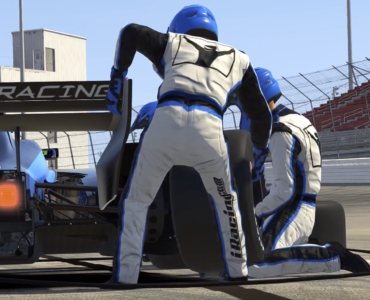 iRacing.com has introduced the newest build of their online racing simulation to their subscribers earlier today, adding various improvements and two sought-after content items to the sim. 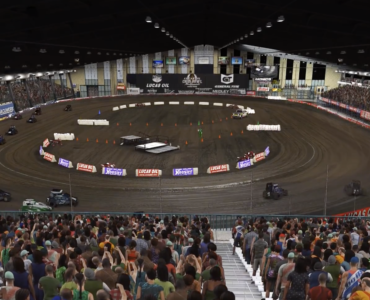 The new build brings multi-class racing and split-times to the simulation, alongside several other changes which are listed in the comprehensive release notes. 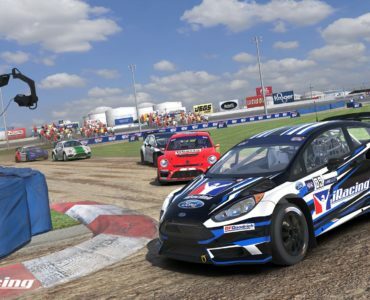 Furthermore, the Ford Falcon V8 Supercar and the Phillip Island Circuit are now available, being the first two Australian content-items in iRacing. Below is a video of a full lap around Phillip Island in the Ford Falcon. Located in the state of Victoria, Philip Island is a 4.4 kilometer road course and one of Australia’s main road racing facilities. The track’s layout incorporates 12 turns, the track hosts the Australian V8 Supercar Series, the MotoGP series and has been rumored to be a future venue for the Australian Formula One Grand Prix. He drives a lot like me; bury the throttle and worry about the grip later. :sd: I couldn’t keep that up for more than about 6 laps though. Love it… What a great car! And the tracks is truly nice also. Could only manage a high 1:33 so far though. Nice combination with the C6.R in the Mixed Martial Arts Series. Well, the first thing I noticed when I tried the V8 Supercar was how loud and angry it got before I hit the red shift light. It doesn’t have a low growl, but it sounds very different in the sim than in the videos. Much better. My headphones were too loud. I like it loud, but don’t want hearing damage! LOL! It’s like a heavier Vette. Very responsive FFB as usual for iRacing. Feels great. Drop the clutch and you’ll light up the rear tires. You can lock the breaks pretty easily too. Took it to Daytona Road where I’ve raced the Vette a bunch and the braking zone is quite a bit longer and the lap times are about 8 seconds slower, but it’a a blast to drive. Has some understeer with the baseline setup with the rear shocks at 335lbs. Bump it up to 450lbs and it feels pretty good. Bump it to 550lbs and it oversteers like crazy. Lot’s of tweaks available to fine tune it. Haven’t tried Phillip Island yet. Just spent about 2 hours with this combo. Very fun. This car sure felt like a pig after spending 99% of my time in the Skip Barber over the past year. But, once I got used to it, it was a lot of fun to drive. Some great sideways moments, and it’s plenty catchable if you play around on the limit. I played with the deltas for a few minutes but wasn’t too impressed. It seemed like it would only show deltas against individual sectors rather than the whole lap, but I need to look at this more closely. The big display in the center was very immersion-breaking, but maybe useful… I’ll probably just stick with my home-grown best lap delta on a 7-segment display. Damn that is beautiful! Fantastic looking cockpit and track. I Hope “GTR3” and/or rfactor 2 finally bring us some cockpit shadows. 4 wide racing into T1 at Phillip Island. ral42: I played with the deltas for a few minutes but wasn’t too impressed.It seemed like it would only show deltas against individual sectors rather than the whole lap, but I need to look at this more closely.The big display in the center was very immersion-breaking, but maybe useful…I’ll probably just stick with my home-grown best lap delta on a 7-segment display. Nope. It shows deltas against Best Lap per session, All-time best lap, Best Optimum lap and delata against best sectors per session and optimal best sectors. You need to hit the tab button to toggle between the 5 views and no view. The bar does double duty, showing ahead or behind and/or faster or slower than your speed for the delta display. I did try tabbing through the various modes but in all cases, the deltas seemed to be against individual sectors. For example, in “best lap per session”, it’s comparing against my best lap in the session, but only on a per-sector basis. So the delta it displays is always changing as I travel between sectors. (And, the center display disappears and reappears…) I just like having one simple number that always tells me: here is the time difference between your current lap and your best lap for where you are on the track right now. It’s steady, predictable, and easy to process while driving. ral42: I just like having one simple number that always tells me: here is the time difference between your current lap and your best lap for where you are on the track right now.It’s steady, predictable, and easy to process while driving. You need to record clean sector times for the whole lap before the full lap comparison starts to work. As soon as you do that, it works just as you describe. Jack B: Has some understeer with the baseline setup with the rear shocks at 335lbs. Bump it up to 450lbs and it feels pretty good. Bump it to 550lbs and it oversteers like crazy. Lot’s of tweaks available to fine tune it.Haven’t tried Phillip Island yet. Hey Jack B! I tried it for about 30 mins last night. I noticed the same things as you with the sound and the handling. Pretty cool car and it’s great with those 30 car fields! iRacing could collect a lot of customers if they spent more time in Australia. This is a very promising start! Hey Jack B!I tried it for about 30 mins last night.I noticed the same things as you with the sound and the handling.Pretty cool car and it’s great with those 30 car fields!If you feel like experimenting next time you mess with the setup, try attacking the problem area directly.So if it is understeering, try getting more grip at the front by softening the front ARBs or springs first. If that doesn’t solve the problem, then you can hit it indirectly by taking grip away from the other end.I tried both ways last night and got very different results, for what it’s worth. I really enjoy tweaking setups. Lots of fun and so many of the cars respond so well to very subtle adjustments. I’m usually trying to fine tune entry, mid or exit grip depending on the track. The upper level cars give you so many options to tweak handling in particular corners. Fun stuff. And the V8 with lot’s of HP and skinny tires should give everyone a ton of challenges setup wise depending on the track. Good drivers with the V8 are really going to shine. ral42: I did try tabbing through the various modes but in all cases, the deltas seemed to be against individual sectors.For example, in “best lap per session”, it’s comparing against my best lap in the session, but only on a per-sector basis.So the delta it displays is always changing as I travel between sectors. (And, the center display disappears and reappears…)I just like having one simple number that always tells me: here is the time difference between your current lap and your best lap for where you are on the track right now.It’s steady, predictable, and easy to process while driving. It does work like that. Did you notice they’re are full lap choices using the Tab button. You get Best Lap, Optimal Lap and I think Best Session Lap. The big number and the bar both relate to laps. On the Optimal Sector and Best Session Sector, the big number and the bar both relate to individual sectors. It’s very cool. I actually prefer to use the Sector settings, because it’s easier to tell what corners/sections I’m losing time. I also like that you can set the bar to 1 second or 2 seconds etc. And you can delete individual sectors or entire laps from any or all of the screens. It’s very cool. You need to try it again. It does what you want and way more. I like it now better than any split time tool I’ve used before. Nice addition to Iracing, now what Iracing needs is a classic european sportscar 😉 Group C cars from the early 80s!! Ok, I tried it again and it worked as you described. Thanks for the info. Could’ve sworn I’d driven a clean lap the first time but I guess not. Now it’s actually pretty closely sync’d to my own calculated delta time and it doesn’t disappear/reappear anymore. I’m still not sure about the big info display in the center but I could probably get used to it. Overall, a nice piece of work.